I am having a fantastic time at the moment trying out all the materials, other than paper and cardstock that the Big Shot is able to cut. So far I've tried polar fleece, aluminium drink cans and today's tutorial uses thin cork sheet and a disposable alumimium baking platter. 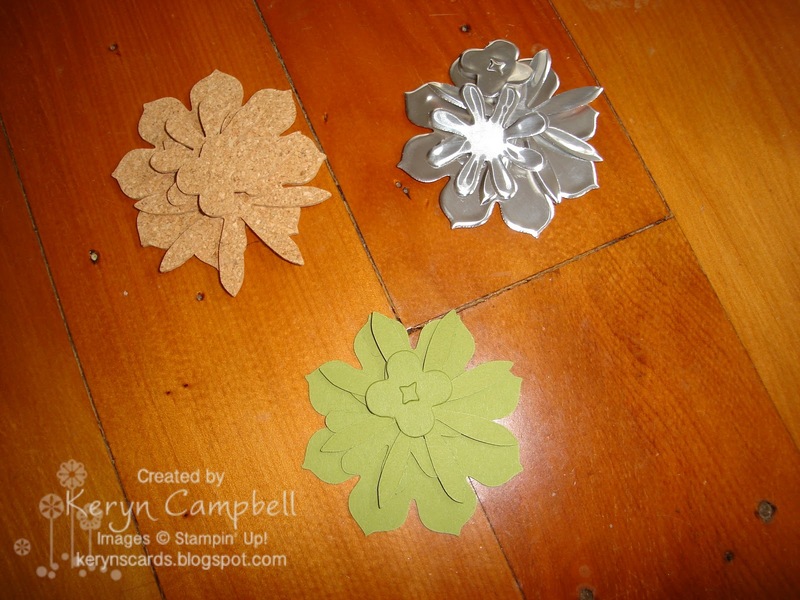 - Cut the raised sides off the aluminium platter and cut the inside section along with the cork sheet and the old olive cardstock to fit the Blossom Party die. Run these separately through the Big Shot and put to one side. 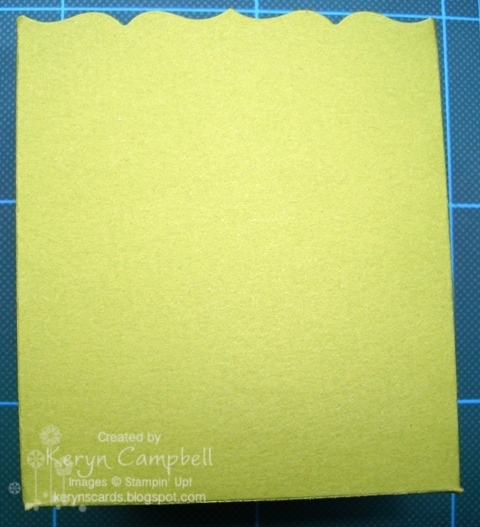 - Take cajun craze cardstock slightly at least 10cm square, I used a larger piece and run through the crimper. 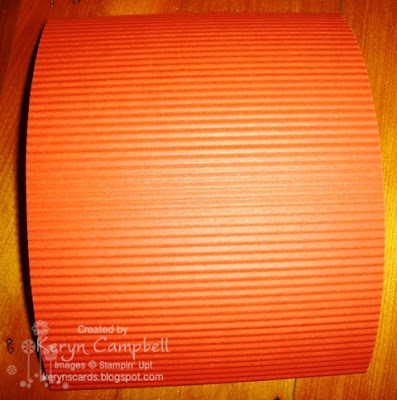 - the crimped sheet will come out bowed. Put it to one side and it will have settled back into shape by the time you need to use it. 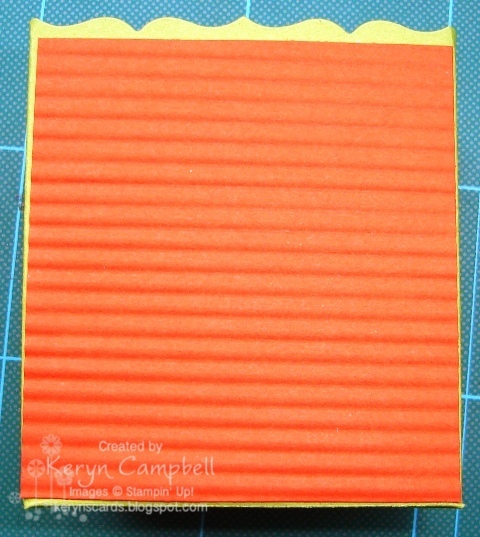 - cut a sheet of Old Olive cardstock 14cm x 29.7 cms using the Fancy Favour Die and the extended cutting plates. Goodness knows how I managed to get that colour in the photo. 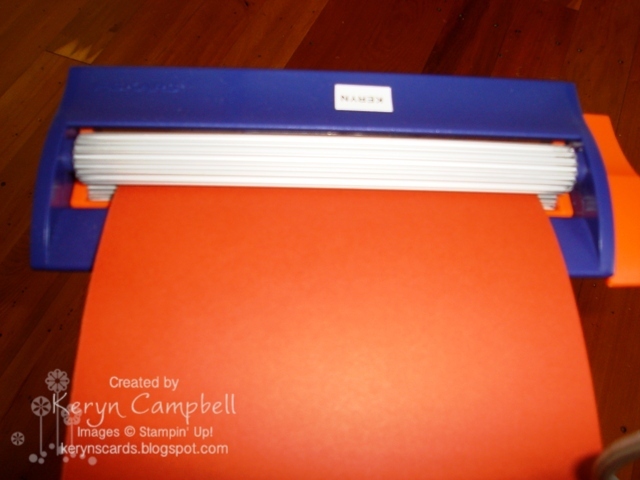 - assemble box following score lines using sticky strip. - cut your crimped piece of cardstock to 7.6cms x 8.3cms and attach to the front of your box. Don't worry if it goes on slightly crooked like mine and embellishments will hide most of it. 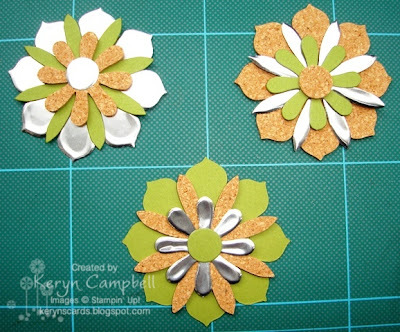 - put your Blossom Party pieces together to work out a pleasing combination then attach them together using mini glue dots. - cut a strip of left over cork sheet, mine is 1.3cms wide and attach across the centre of the box then attach your embellishment in the centre. All done! 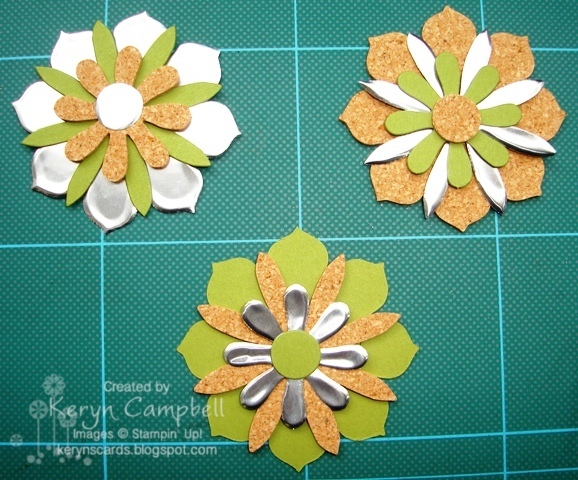 Please leave me a comment with any questions you have and I'd love a link to your creations using my tutorial. 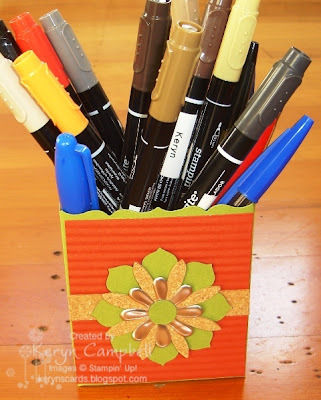 I love this ides keryn, love that we can use all sorts of materials through our Big Shot. well done. Hi Keryn - these look fantastic. Where did you get the cork from?